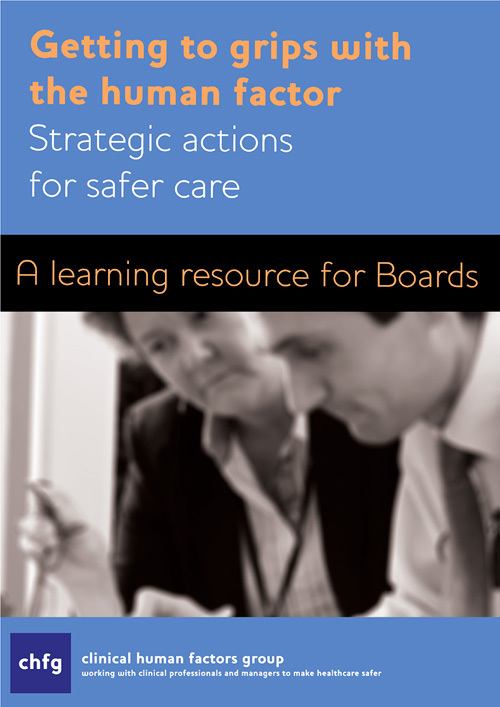 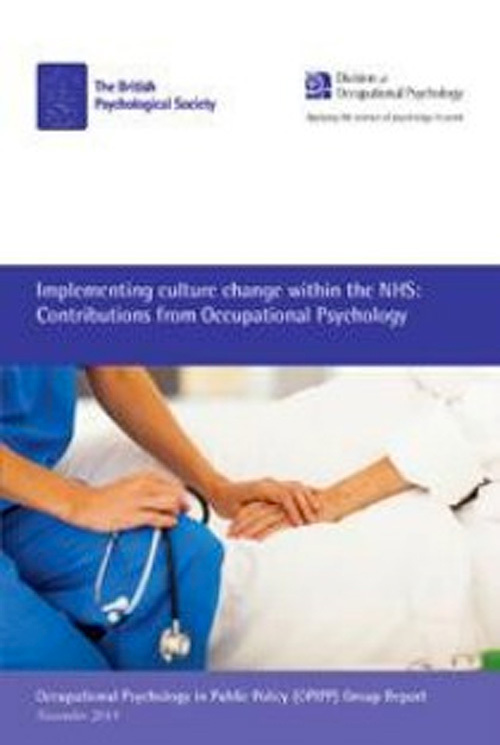 John Pickles, Clinical Human Factors Trustee shares his experience of persuading the Board to invest in using Human Factors techniques. 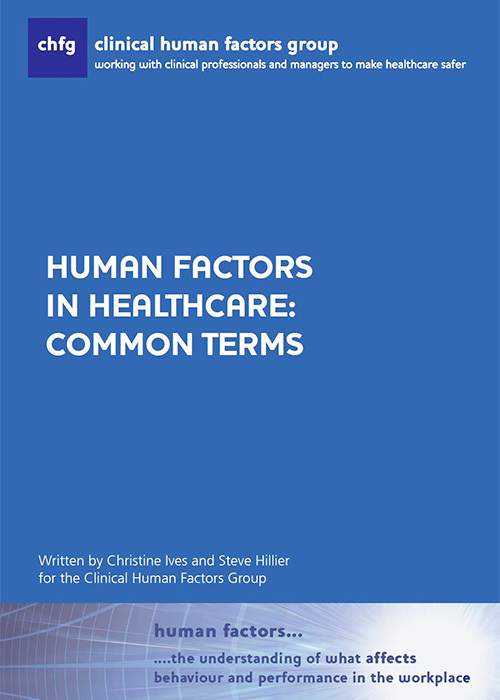 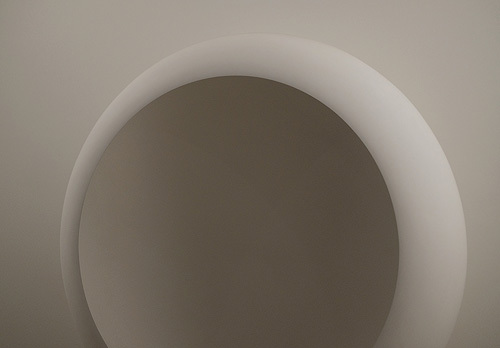 Our Common Terms glossary presents a series of common terms which focus on the fundamental human factors and ergonomics principles separated into Organisation and Individual focus areas. 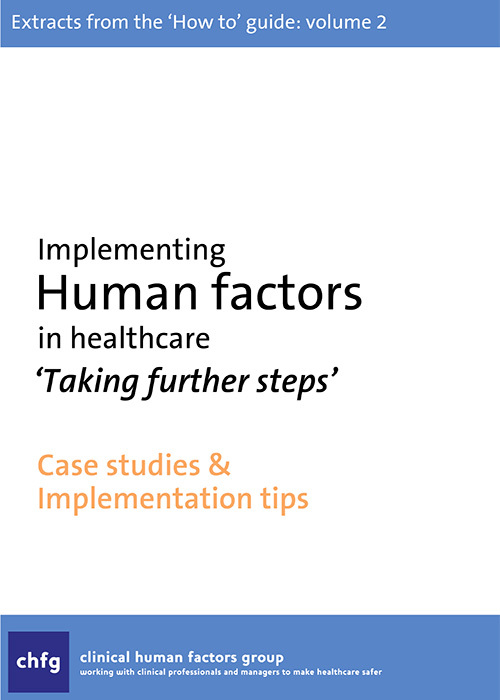 An A5 booklet has been produced that has extracts of case studies and implementation tips from the full ‘How to’ Guide – Volume 2. 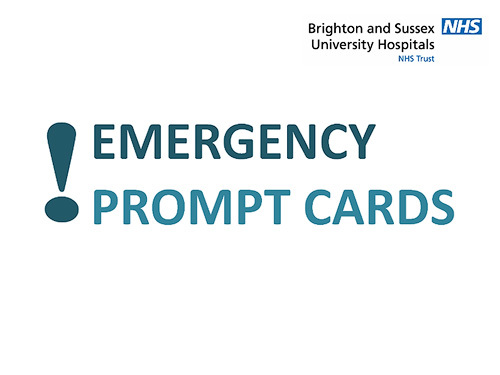 Over the last few years the CHFG have developed a set of cards to demonstrate ‘what good looks like’ in healthcare from a human factors perspective. 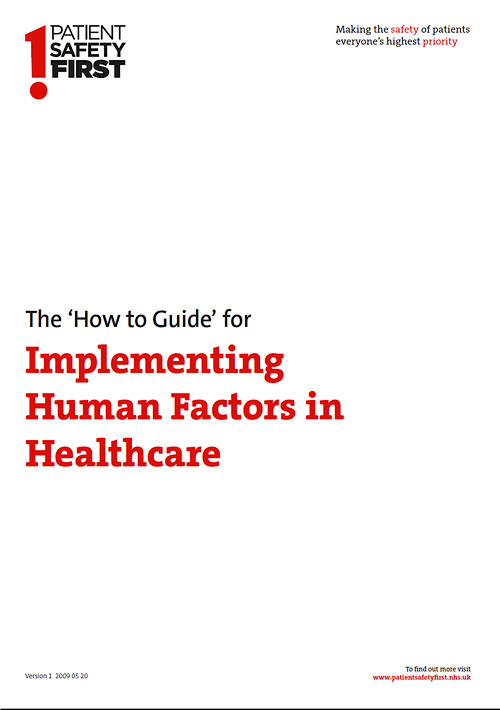 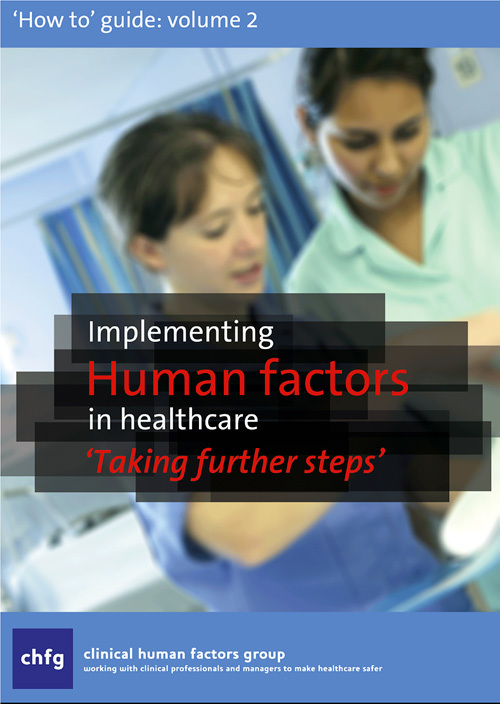 Patient Safety First’s “How to” Guide for implementing Human Factors in Healthcare.